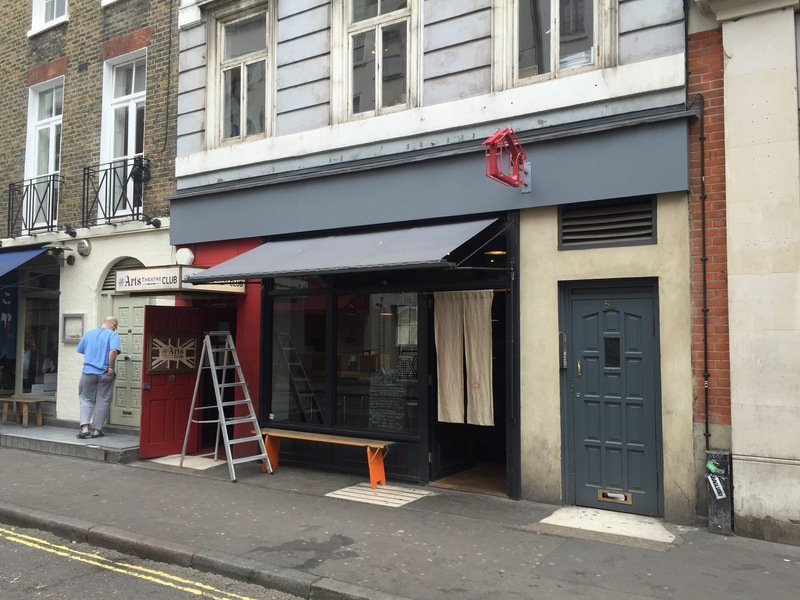 It’s always sad when a restaurant closes down (perhaps not the case for Bo London), but it’s even more of a shame when it’s as much loved as Koya on Frith Street. Next door, however, is its sister, Koya Bar, which ain’t going anywhere and I finally got round to popping in for lunch. We arrived at 11:50, which was the cross over between the breakfast and lunch menu. We perched on low stools at the long bar overlooking the kitchen; it was all rather pleasant. The atmosphere was serene – it almost made me want to have a nap. 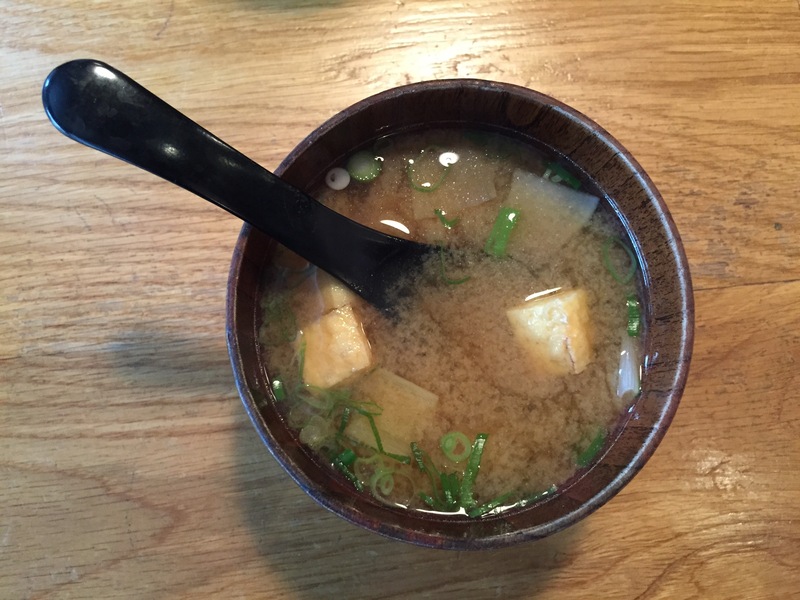 A bowl of miso soup (£3.10) and a pot of tea were a really lovely start to proceedings. 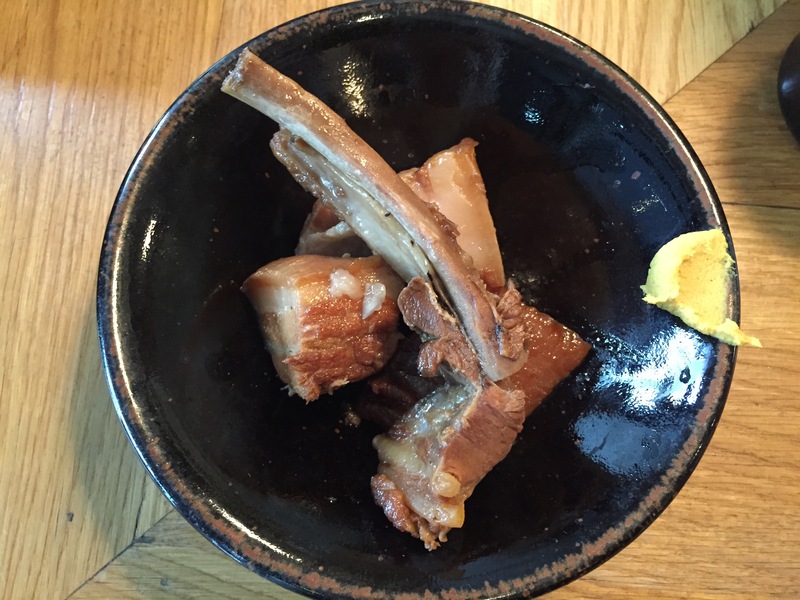 Braised pork belly with cider (£6.90) was 95% fat but my golly was it absolutely heavenly. The flavour was insane. Fish and chips (£9.10) saw beautiful chunks of fish (can’t for the life of me remember what fish exactly) coated in a light and fresh batter. 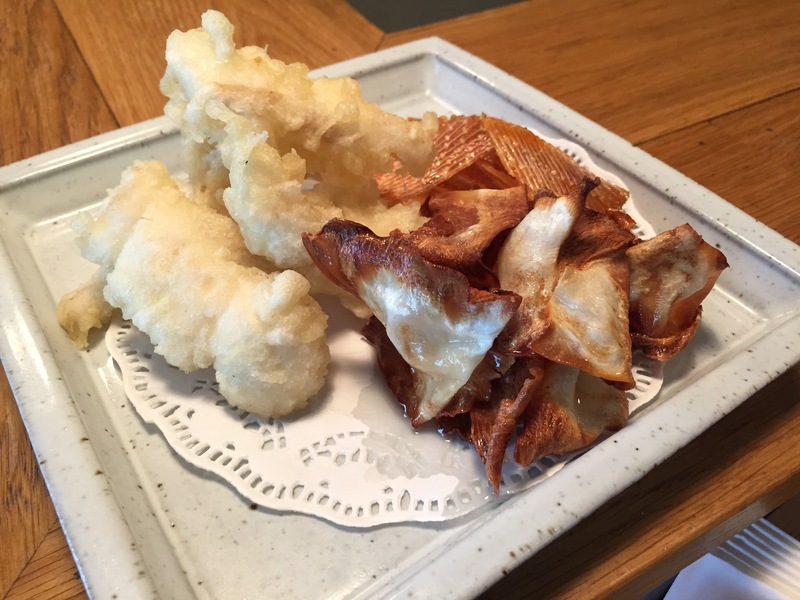 My favourite part, however, was the thin shards of crispy, deep-fried fish bones. They were sensational. 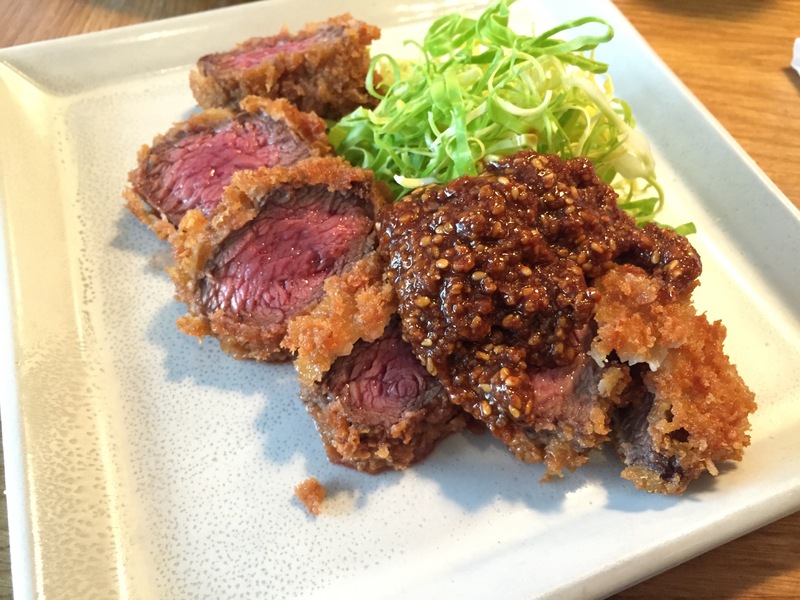 Gyu katsu (£8.90) was breaded beef onglet with shredded cabbage. I’ve never had beef like it before and it was a really lovely blend of textures. The beef was cooked perfectly too, with a lush shade of pink. 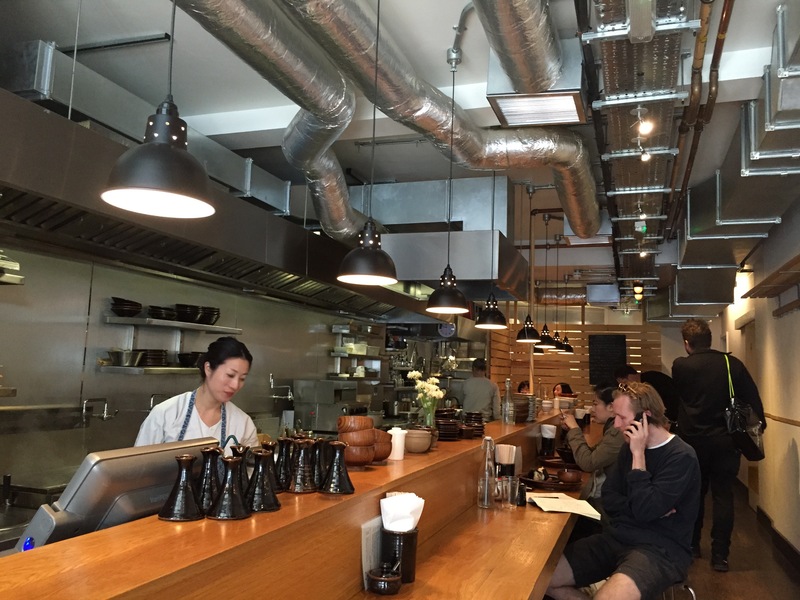 There really is nothing not to like about Koya Bar; I left feeling a sudden love for the place. 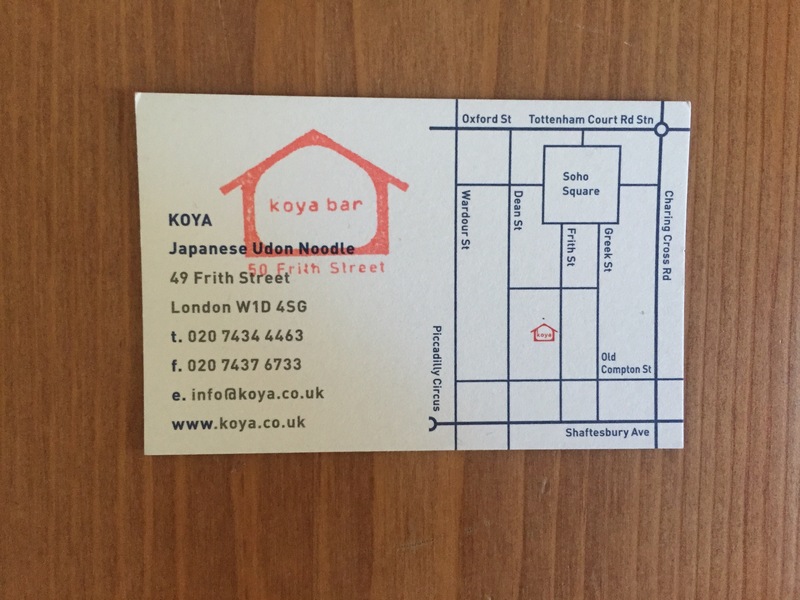 It certainly is sad to see Koya go, but Koya Bar is going to see a whole lot more of me. I look forward to returning to try the whole specials board – they sound crackin’.